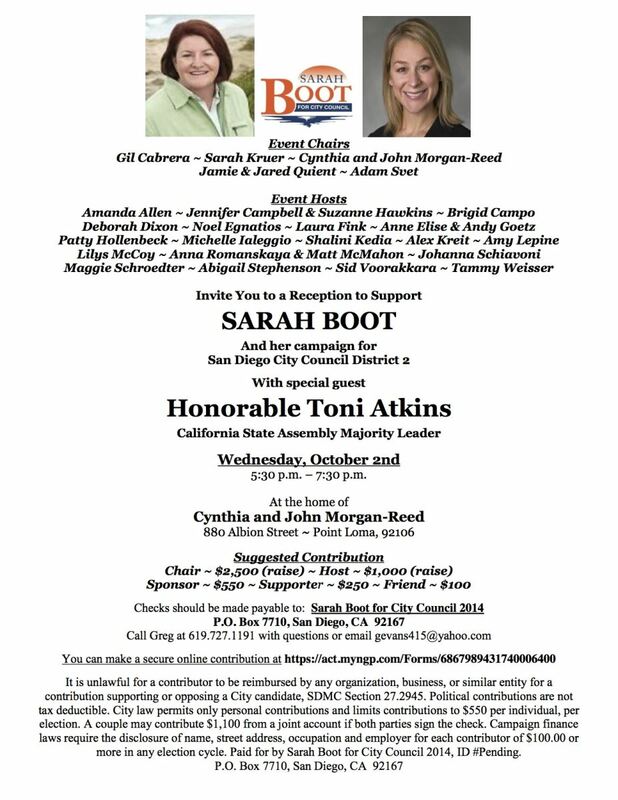 Sarah Boot’s campaign kick-off fundraiser for San Diego City Council is this Wednesday, October 2 from 5:30 to 7:30 pm. Please click here for details and to RSVP! California Assembly Majority Leader Toni Atkins will be the guest of honor! If you aren’t able to attend, Sarah still hopes for your support. Please click here to make a contribution today!